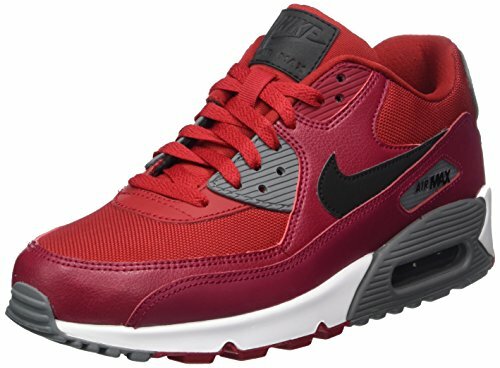 NIKE Mens Air Max 90 Essential Running Shoes Gym Red/Black/Noble Red/Cool Grey 537384-606 Size 11 | What Should I Say? Get the most out of your everyday shoes in the Nike Air Max 90 Men's Shoe with a design aesthetic from the '90s and technology of today. This Essential version showcases state of the art construction and materials which improve on the original design while keeping its original Air Max 90 and looks.